It starts out great with all the passion and intimacy that you desire. But somewhere along the way things start to drift. We get busier with work, chores… and let’s not forget the kids. It can seem like ages since you last enjoyed a deep, intimate connection with your husband or wife. Or shared a special romantic moment that made you both smile. You can’t get out of a rut by doing the same things you’re doing now. Otherwise the rut just gets deeper and deeper. It’s easy to look at your spouse and blame them. Or to take the burden on your own shoulders. But the truth is that this happens to many couples over the years. Plus you’re taking action right now to rekindle the romance in your marriage. A love letter is the perfect way to reignite the spark in your relationship. And you’ve just received our Love Letter Checklist to help you on your way. But I know firsthand what it’s like staring at a blank piece of paper. So I’ve created a Love Letter Template to make it super simple. All you have to do is fill in the blanks and you’ll have the perfect love letter in less than 15 minutes. Imagine your spouse finding your love letter placed under their pillow one night and the surprised look on their face. Imagine their eyes lighting up as they open it and read the perfectly crafted message from their caring wife or husband. I guarantee you’ll never forget that night and the response you get from your spouse. I’m a devoted husband and loving father of 3 wonderful kids. But it hasn’t all been sunshine and rainbows. Working a high pressure job with 50+ hour weeks was taking a strain on my marriage and my family. And while I still work the same amount of hours (plus all my other interests)… I discovered little ways to rekindle the romance and intimacy in our marriage. They didn’t have to take a lot of time but they made a big impression on my wife Bethany. And here's the thing - she caught on and reciprocated. I'm the last guy in the world who expected to get a love letter (or cared to honestly). But I will never forget the appreciation she shared with me in that first letter - it changed our marriage for the better and helped me open up to be more romantic, too. Plus for the past 5 years I’ve provided help and guidance for thousands of couples through Engaged Marriage so I know how well this works. Plus many other benefits this will bring to your marriage. I was SO excited I wrote a letter last night and surprised my husband by sneaking it into his Police vehicle. I laid it on his computer and when he opened his computer to get logged onto it for work he found it this morning. This was his reply. Thank you so much for Romance the Write Way! “Just wanted to send a quick note to tell you your program is brilliant. I'm not good at being romantic, and I tend to get stuck in a 'one day I should' rut and never do anything. "Honestly, I never thought of writing him a love letter. I thought I should be able to sit back and let him romance ME. Well, taking that first step made all the difference - the passion and romance is back! He's opened up more and there's a spark between us that I hadn't felt in years." Writing love letters and making your spouse melt has never been easier. How to deliver your romantic letter in a way that’ll make your spouse beam with pride…this is a memory they’ll NEVER forget! You know that you can’t put a price on your spouse’s happiness. Or the amazing benefits you’ll get from writing just one love letter. You could pay $47 for this unique template and it’d be easily worth it. After all, a love letter is so much more powerful than a dinner for two at a fancy restaurant (that won't bring back the intimacy between you). But we want to make this an easy decision to put a smile on your spouse's face (and light a romantic spark in the bedroom). 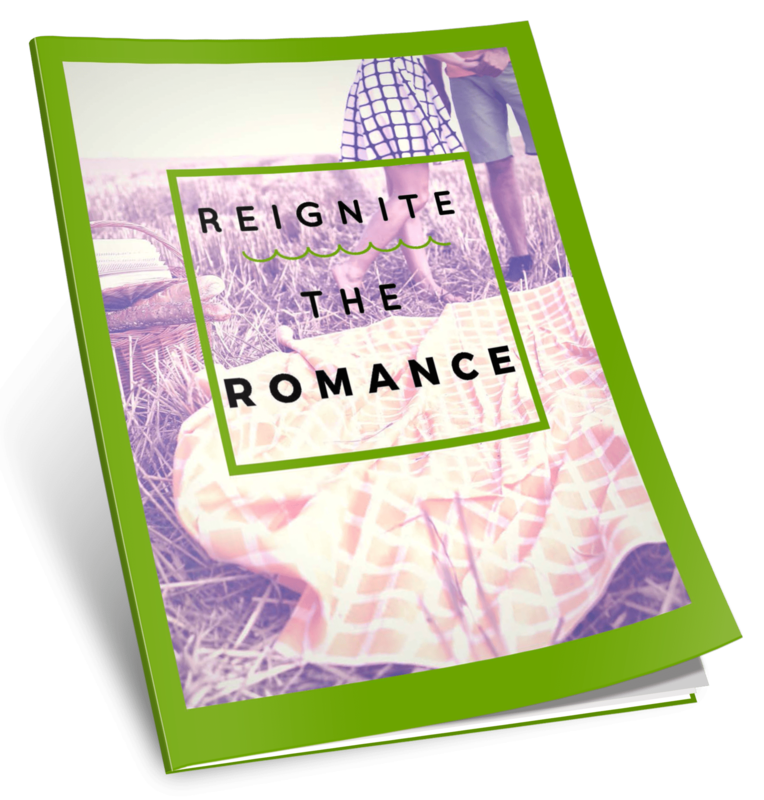 So you can get Romance The Write Way for just $14 today! Seriously… that’s not a typo. I know a fill-in-the-blanks template might sound “unromantic” or "corny" if done poorly. But I assure you that our Love Letter Template is the real deal. And when you write your first love letter you’ll see how the same template could easily be used over and over again to create completely unique love letters every time. If your love letter doesn’t put a huge smile on your spouse's face. Or if you see the template and think it’s too “corny” or “canned”. Basically… if you aren’t completely amazed! Then just drop me an email and I’ll completely refund your money. No hassles, no shenanigans… email me and it’s done. It’s easy to think this is a cool idea and you’ll do it “tomorrow”. But let’s face it… tomorrow never comes. And that’s how romance drains out of a marriage… one day at a time. Just imagine the look on your spouse’s face when they find it. You’re going to be a superstar! Simply click the Add To Cart button below, enter your details and you’ll get immediate access to your Love Letter Template and the other resources. It’ll only take 15 minutes (or less) to complete your first love letter. I know you’re going to love the results. P.S. You’re getting 2 Love Letter Templates, 40 Romantic Writing Prompts and all the secrets you need to craft the perfect love letter that will make your spouse melt. All for just $14 and covered by my “Bring The Romance Back” 60 Day Guarantee. There’s no better way to put a smile on your spouse’s face and light a spark in the bedroom. So grab it now and bring back the intimacy tonight… guaranteed!